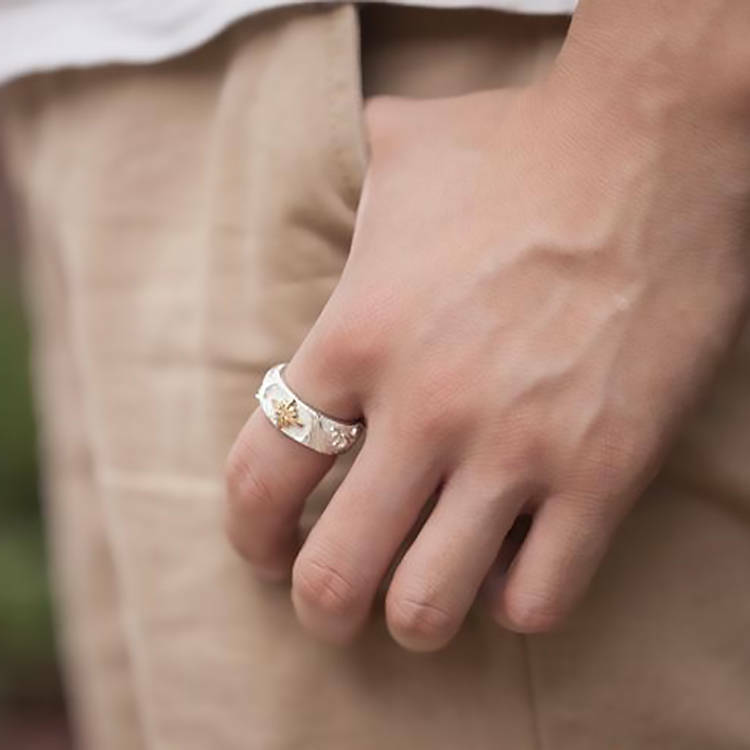 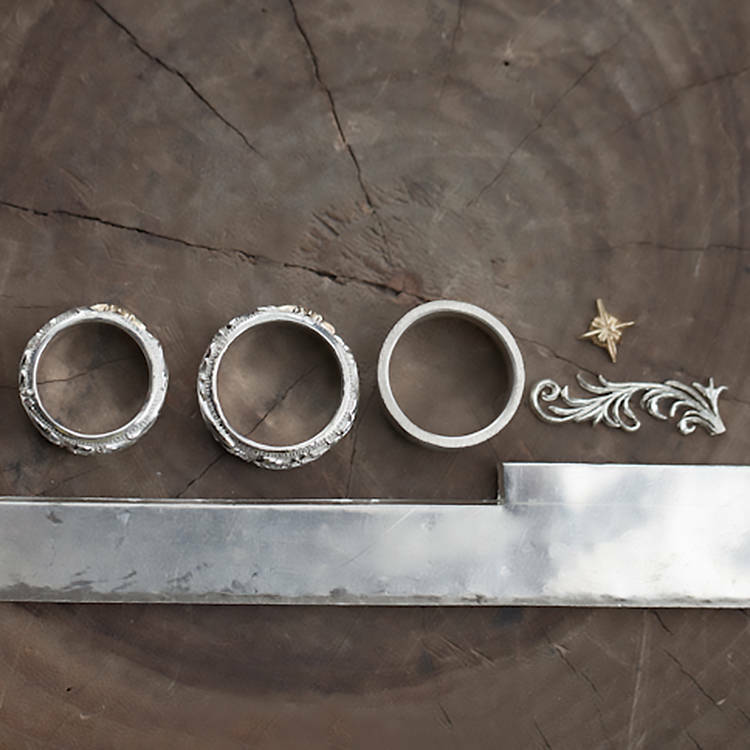 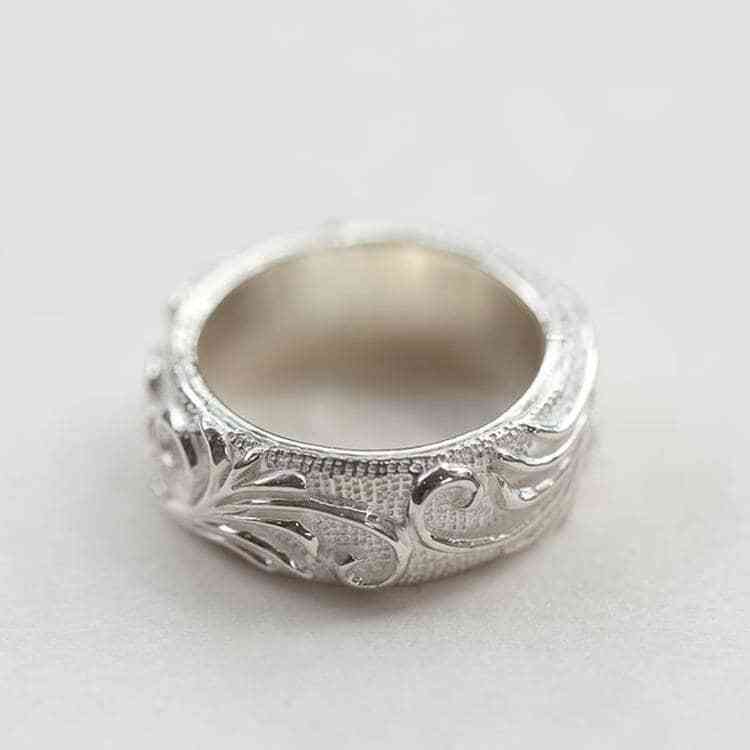 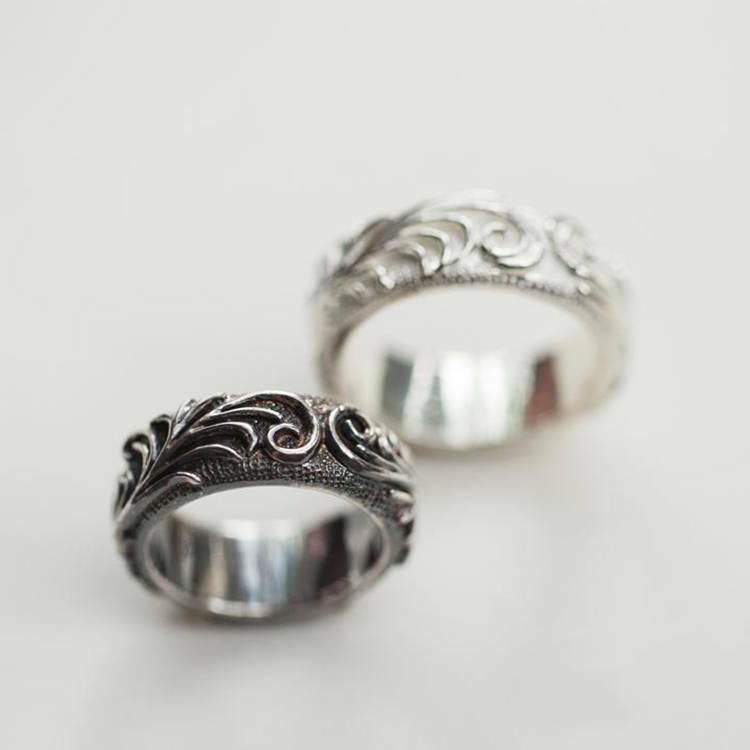 The floral silver band is carefully handcrafted to create a richly textured surface and further decorated with bold floral patterns. 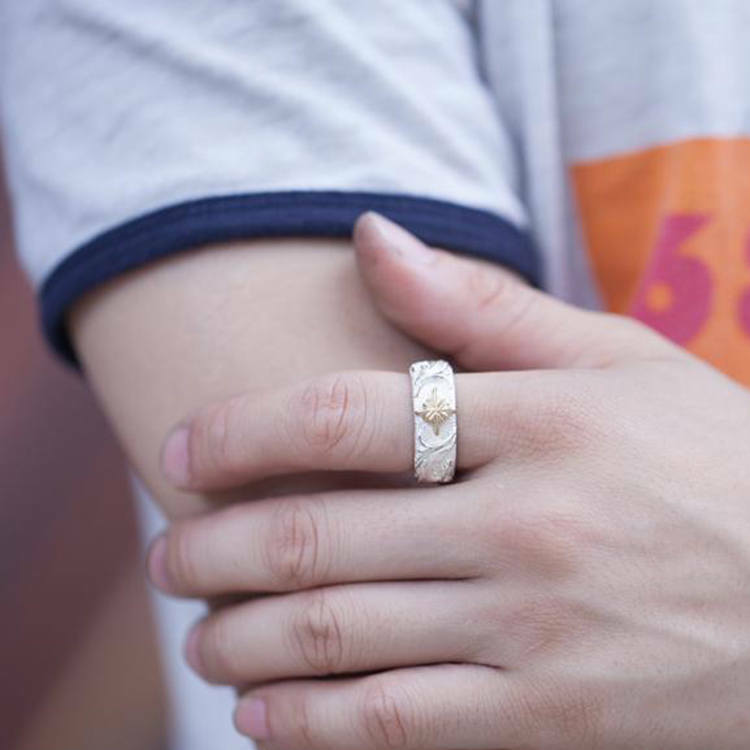 Rich textures are the highlight of this ring - the base silver band has a rough hammered texture with a grainy feel. 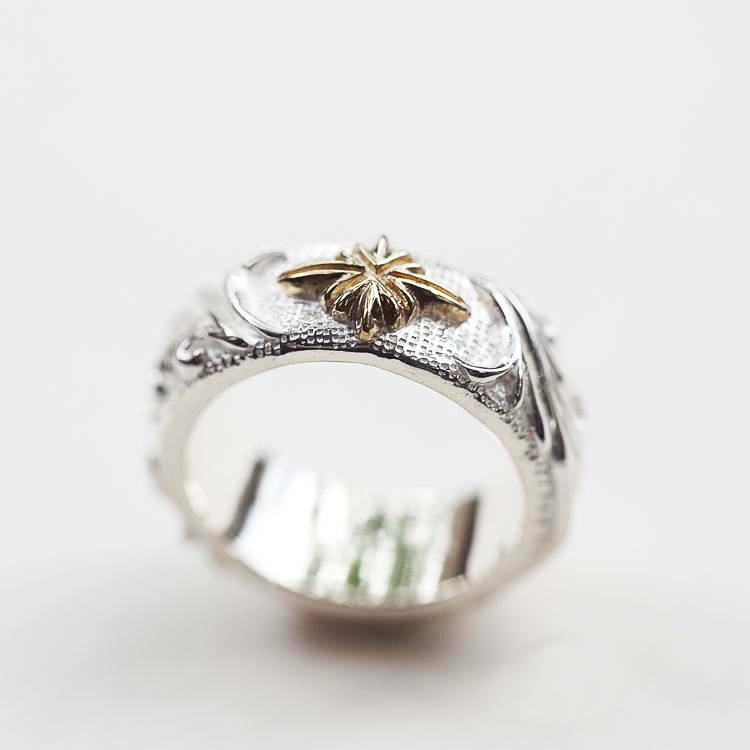 A raised floral pattern is laid right on the top - complemented by the underlying rough surface. 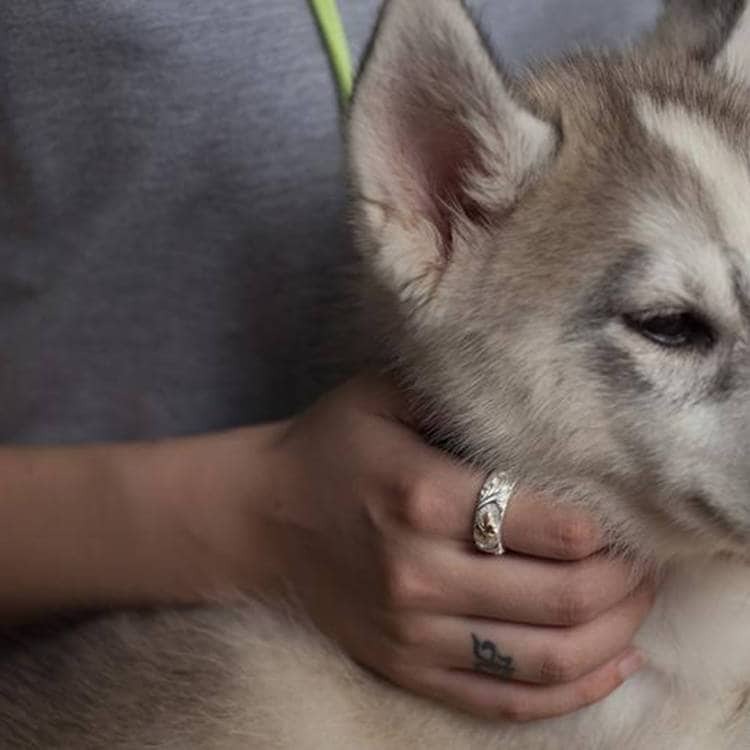 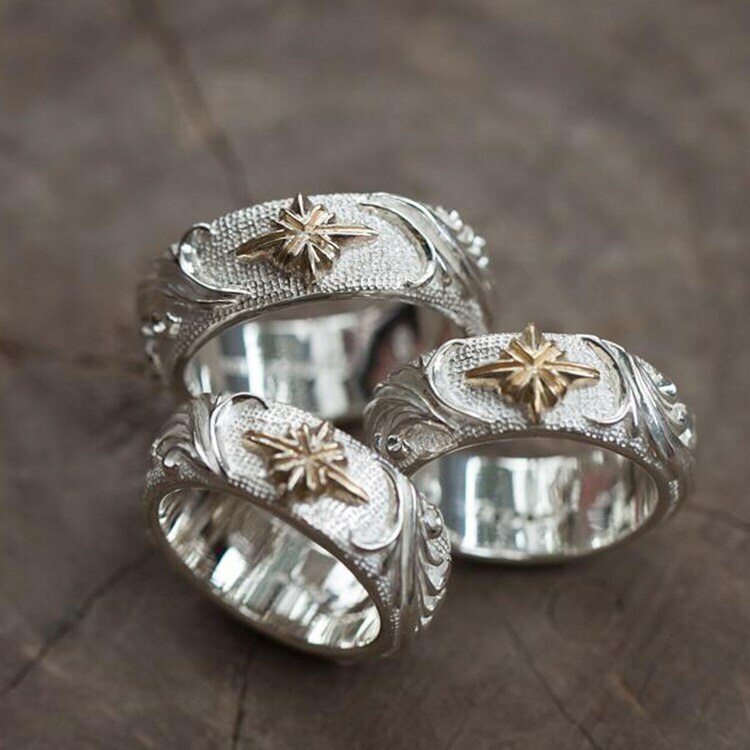 The centerpiece of the ring is the single star that sits on the top of the ring and is available in three different choices - 18K gold, brass, and silver. 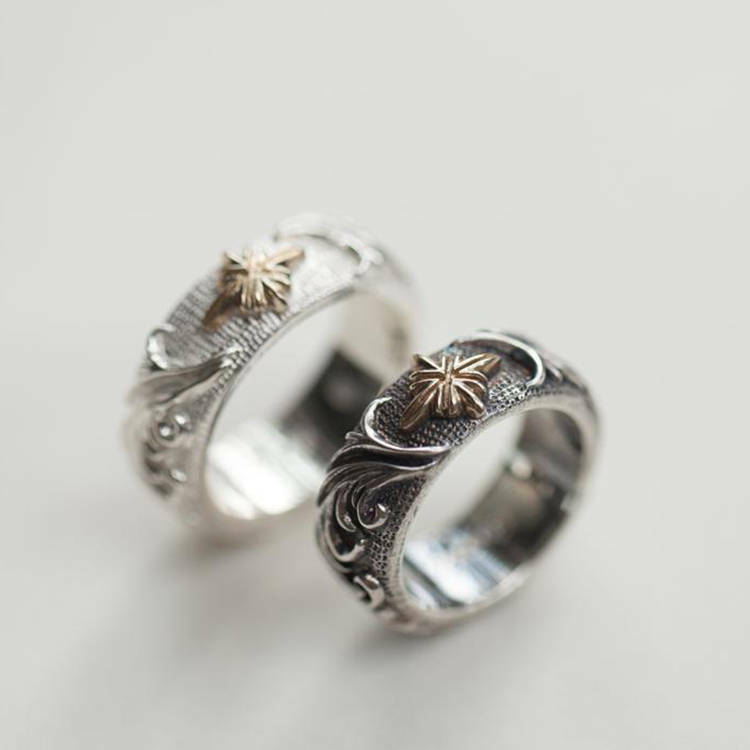 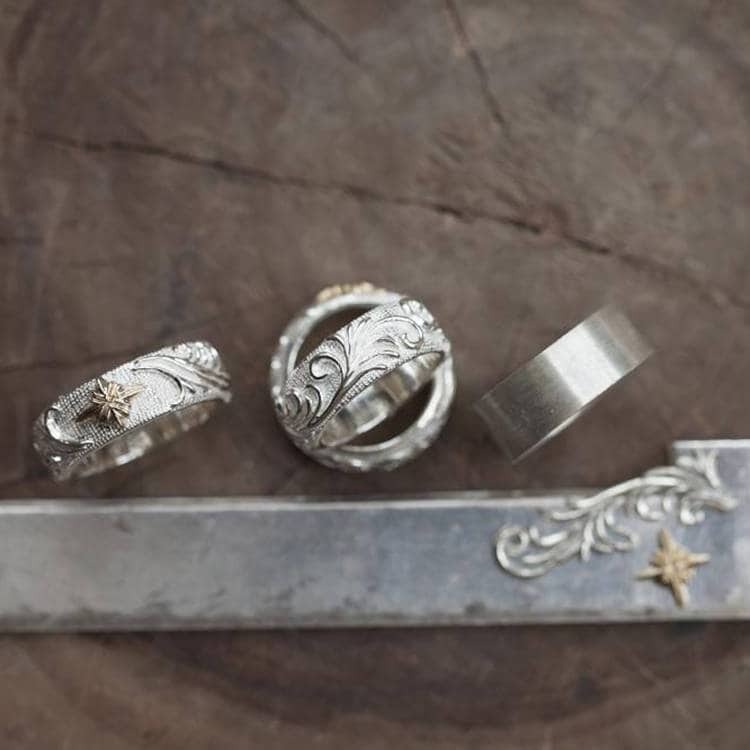 The different textures and the star create a beautiful combination that makes the engraved silver ring a great choice as a couples ring or a proposal ring.